● Promote network security. The integration of military and civilian needs to integrate and optimize the allocation at the national level, and promote the two-way flow of technology, talents and resources. ● Whether it is network security analysis, situation research, emergency response, or network protection hardware and software development, a large number of information technology talents are needed. President Xi profoundly pointed out that there is no national security without cyber security. In the digital age, cyberspace has penetrated into various fields such as politics, economy, military, culture, etc. 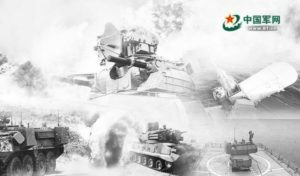 It has the natural attributes of military and civilian integration, and is an important aspect of the integration and development of military and civilians in the new era. 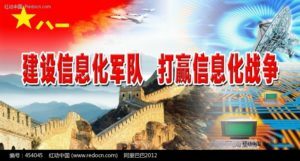 At present, China is marching toward a network power and building a network great wall combining military and civilian integration. 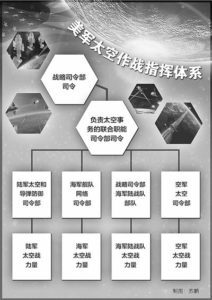 It is not only the basic system design for building a network power and information army, but also an important driving force for promoting the deep development of military and civilian integration. Under the new situation, we will actively promote the in-depth development of cyber security, military and civilian integration, and urgently need to break down institutional barriers, structural contradictions, and policy issues, and constantly improve the level of integration and enhance joint protection capabilities. Cybersecurity is related to the overall security of the country, and it is necessary for the military to walk away from the road of comprehensive integration. In the information age, cyberspace security has become a new commanding height of the national strategy. Last year, the “Eternal Blue” ransomware that broke out in the world, the Ukrainian power grid attacked, and the US election “mail door” and other events showed that cyber security concerns national security, social stability and war victory or defeat. The cyber security contest has risen to the national level of confrontation, beyond the scope of the military’s respective management and control, and it is necessary to rely on the integration of the military and the local forces to manage and manage well. Cybersecurity is a national interest. As the network’s tentacles extend to economic, social, cultural and other fields, its security will affect economic security, social security, cultural security, and information security. In May 2017, the “Eternal Blue” ransom virus swept through more than 150 countries and regions, including government, banks, communications companies, energy companies and other important departments, and the infrastructure was paralyzed, causing an uproar in the world. Earlier, Saudi Arabia’s infrastructure was attacked by cyber attacks. In just a few minutes, the computer hard drive was destroyed, all data was emptied, and the attacker tried to cause an explosion. If it succeeded, it would undoubtedly have serious consequences. Cybersecurity is a matter of war. In the information war, cyberspace has become a new dimension of battlefield space. At present, the United States, the United Kingdom, and Japan have established cyber warfare forces and vigorously developed various cyber weapons. In the Iraq war, the US military first destroyed the five key command and radar facilities of the Iraqi army, and used electronic interference to firmly grasp the information superiority, making the Iraqi army blind and paralyzed, and the defense system quickly paralyzed. With the accelerated evolution of war forms, the competition for information superiority has increasingly become the core content of war wins and losses. 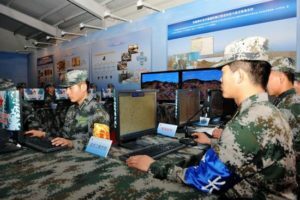 As the “main battlefield” of information control, cyberspace has increasingly become the commanding height of war games. Cybersecurity is a common practice in the world. At present, many countries in the world regard military and civilian integration as an important way to improve the security of cyberspace. For example, the United States has made cybersecurity the focus of national security. The White House and the Pentagon have designated Boeing and Lockheed Martin as the national network security team, and designated information technology giants such as Microsoft, Intel, Cisco, Apple, and Google for network security. Professional team, designated Symantec, McAfee and other network security protection companies for the network security special team. In Israel, after the retiring of many Israeli cyber security forces, they became the elite of local high-tech enterprises and founded several network security companies. These companies have come back to cooperate with the Israeli army in the field of network security to enhance the security of the military network and promote the development of the entire network space security. Promoting the integration of military and civilian development is a systematic project. It is necessary to use system science, system thinking, and systematic methods to solve problems. 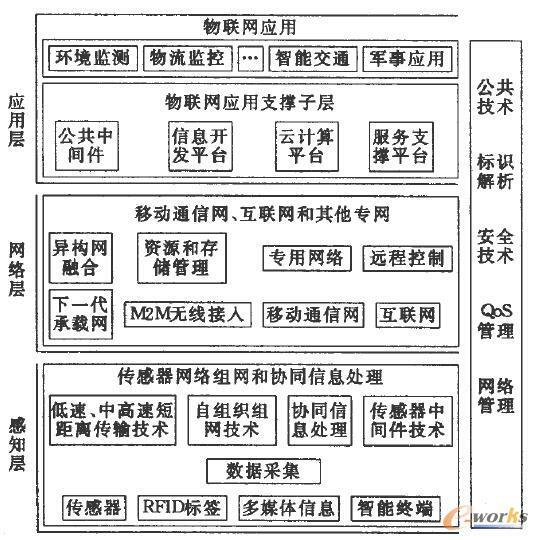 At present, China’s various information network systems are developing at a high speed, and network functions of different functions and types are being put into use one after another. The overall framework of the network security protection system is basically established. However, network security resources are widely distributed in the military and local areas. 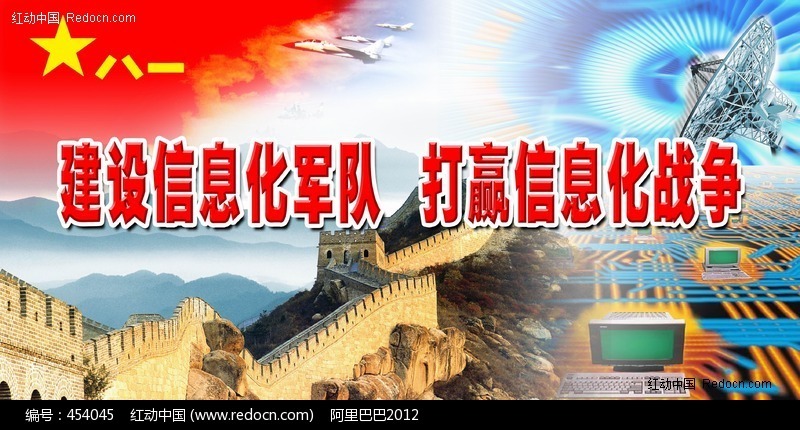 Promoting network security and military-civilian integration, improving synergy protection needs to strengthen top-level design coordination, break down institutional barriers and departmental interests, unify integration and optimize allocation at the national level, and promote technology, talents, resources, etc. Two-way flow conversion of features. Establish and improve the leadership system of the network security organization. It is necessary to speed up the establishment of a leading agency for cybersecurity work organizations with Chinese characteristics in order to ensure a clear hierarchy and division of labor. The national cybersecurity leadership agency’s work focuses on strengthening the top-level design and macro-management of cybersecurity military-civilian integration, formulating development strategies and planning plans, fulfilling the overall coordination function in military-civilian integration, and being responsible for domestic cybersecurity defense and emergency response, and combating cybercrime. And cyber terrorism; military cyber security authorities focus on the overall planning and construction of military cybersecurity, integrating the areas of military and civilian integration into the overall development of national cybersecurity, and doing a good job of connecting with national cybersecurity development plans, We will clarify the relevant processes and management methods for military-land coordination, improve the work system for regular military conferences, important situation notifications, and major operational coordination, and form joint prevention, joint management, and joint control of cyberspace security. Coordinate the planning standards for military network security construction. With the goal of effectively responding to the current and future cyber offensive and defensive measures, the overall framework of military and civilian cybersecurity construction will be scientifically formulated, the construction model will be classified, the short-term and long-term construction goals will be defined, and the supporting measures for completing the tasks will be determined. The first is to adhere to the standard. Actively promote the unification of technical standards for network security basic products such as autonomously controllable secure operating systems and secure database systems, and achieve full integration of systems at key moments to create a solid and reliable network security defense line. The second is to insist on a unified assessment. Strengthen the assessment of network security construction and technical risk assessment of network security products, clarify the evaluation procedures and links, and adopt scientific and effective evaluation methods to ensure that the network is secure and controllable after it is built. Establish a network security military resource sharing mechanism. 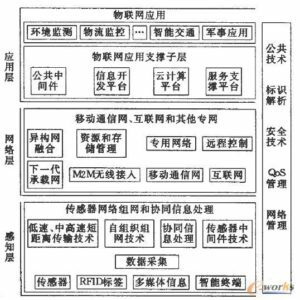 To realize the sharing of military network security resources, the key is to establish a mechanism for military land demand. The information on military and civilian technical achievements should be released in a timely manner. The real-time table of “the battlefield needs to be lacking” and “market ownership” should be fully shared with the military and land needs, technologies, standards, products and other information resources; accelerate the construction of military information integration and sharing platform, Expand Unicom channels, standardize interoperability standards, and achieve full complementarity and sharing of military and territorial information resources; establish a network security access system, clearly define the scope of confidentiality levels, and the military business authorities and the “Ministry of the Army” enterprises regularly meet, information, and demand docking Collaborate with research and development to prevent civil network security forces from developing technology and losing targets, reducing targets, protecting tactics from losing rivals, and lacking direction; establishing a network threat information exchange mechanism, timely interoperating with domestic and international network security updates and major event notifications, encouraging private Enterprises and governments, the military share real-time network security threat information, improve the professional and real-time response capabilities of research and analysis. The essence of cybersecurity is the contest of talents. The essence of cybersecurity is cyber confrontation, which is essentially the competition of talents. Whether it is network security analysis, planning, situation research, response and disposal, or network protection hardware and software development, a large number of information technology talents are needed. 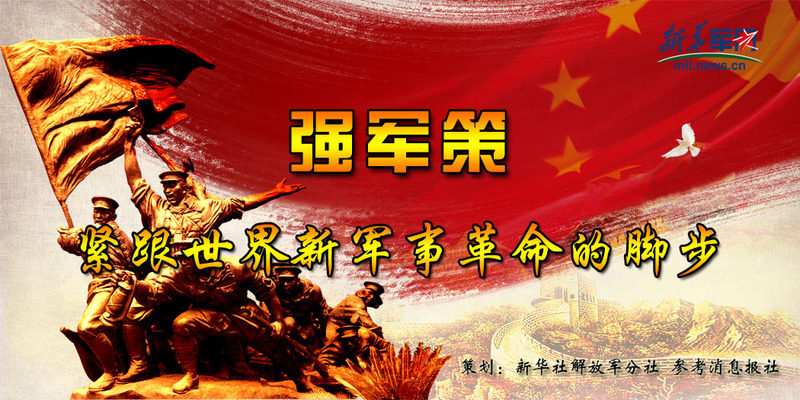 In order to meet the huge demand of military network security talents, it is necessary to firmly establish a joint thinking. Jointly train talents. In recent years, important progress has been made in the training of national cyber security personnel. 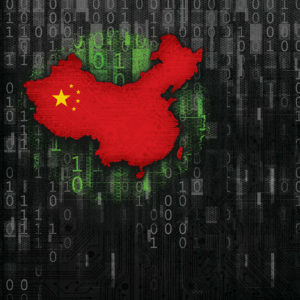 Cyberspace security has been added to the first-level discipline by the Academic Degrees Committee and the Ministry of Education, and nearly 10,000 graduates in the field of cyberspace security each year. However, compared with the demand for building a network strong country and strengthening the army, there is still a big gap, such as a large gap in the talent team, a need to improve the training system, and insufficient reserve of practical talents. 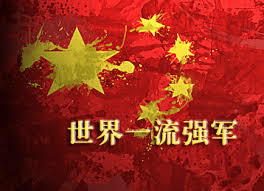 We should actively explore the military, local colleges, research institutes and network security enterprises to carry out joint training channels for talents, build a team of teachers, jointly set up experimental sites, and set up a practice base to realize the organic combination of classroom teaching and practical practice, through network security training. Camp, safety operation and maintenance personnel training, etc., to enhance the professional capabilities of network security practitioners, improve the rapid, large-scale, actual combat security operation and maintenance, analysis and response, attack and defense penetration and other network security personnel joint training mechanism. Joint use of strength. 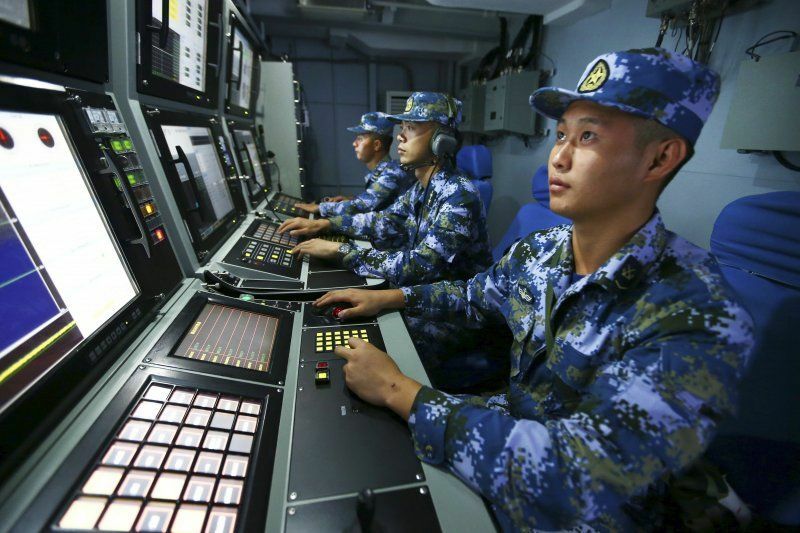 We should coordinate the use of various forces in the military, strengthen operational coordination, and establish a relatively comprehensive network security joint prevention and control mechanism. On the one hand, give full play to the role of local network security talents, open up the military network security top-level design, core technology research and development, and network security overall construction to meet the needs of military network security for talents; on the other hand, give full play to the military network security needs The role of the booster is to use the military’s advanced network technology to test the security of national critical infrastructure networks such as nuclear power, communications, transportation, and finance, and to verify the effectiveness of the emergency response system. Joint research and development technology. Military and civilian collaborative innovation is an important way to achieve breakthroughs in network protection technology innovation. We should focus on the use of military demand for cutting-edge innovation, and focus on breaking key network technologies, promoting the sharing of military and civilians on the basic platform, and vigorously promoting the mutual transformation of military and civilian technologies; encouraging universities, research institutes, military enterprises, and superior private enterprises to strengthen alliances. Focus on military, human, material and financial resources, and focus on key chips, core devices, operating systems, etc. ; explore military and civilian integration network security equipment technology innovation model, develop a new generation of firewalls, intrusion detection, information encryption, information hiding, anti-eavesdropping And other protection technologies to jointly foster an ecological chain of autonomous network security industry. In addition, due to the comprehensive complexity of network security, military and regional forces are needed to strengthen regulatory and policy guarantees. Formulate a legal system for network security and military-civilian integration, relevant policies to support the integration of cyber security and civil-military, and relevant documents in the field of cybersecurity military-civilian integration key protection, ensure that the measures for network security and military-civilian integration take root, and form a joint support system for military and land. The field command FM3-12 provides instructions and guidance for the Army to implement cyberspace and electronic warfare operations using cyberspace electromagnetic activity in joint ground operations. The Fields Act FM3-12 defines the Army’s cyberspace operations, electronic warfare, roles, relationships, responsibilities, and capabilities, and provides an understanding of this to support Army and joint operations. It details how Army forces protect Army networks and data, and explains when commanders must integrate custom cyberspace and electronic warfare capabilities within military operations. On the basis of the 2006 National Cyberspace Operations Military Strategy (NMS-CO), the US Joint Chiefs of Staff announced the joint publication JP 3-12 in February 2013 as an internal document. October 21, 2014 The published document for public release is Joint Publication JP 3-12(R). The order states that “the global reliance on cyberspace is increasing, and careful control of offensive cyberspace operations is required, requiring national-level approval.” This requires commanders to recognize changes in national network policies that are mandated by operations. Potential impact. On April 11, 2017, the US Army issued the field command FM3-12 “Network Space and Electronic Warfare Action” on this basis. The field war said that in the past decade of conflict, the US Army has deployed the most powerful communication system in its history. 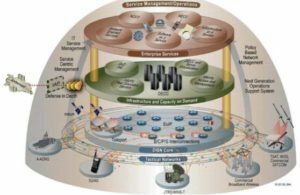 In Afghanistan and Iraq, enemies lacking technological capabilities challenge the US military’s advantages in cyberspace, and the US military has taken the lead in cyberspace and electromagnetic spectrum (EMS) operations. However, regional rivals have demonstrated impressive capabilities in a mixed-operational environment that threatens the US Army’s dominance in cyberspace and the electromagnetic spectrum. Therefore, the Order states that the integration of cyberspace electromagnetic activity at all stages of combat operations is the key to acquiring and maintaining freedom of maneuver in the cyberspace and electromagnetic spectrum, while preventing the enemy from doing so. Cyberspace electromagnetic activity can synchronize capabilities across a variety of domains and operational functions, and maximize synergies within and through the cyberspace and electromagnetic spectrum. Intelligence, signal, information operations (IO), cyberspace, space and firepower operations are critical to planning, synchronizing, and implementing cyberspace and electronic warfare operations. 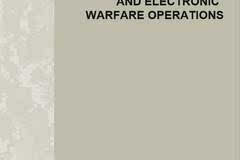 The Fields Order FM3-12 supports the Joint Cyberspace and Electronic Warfare Act and the Army Doctrine Reference Publication ADRP3-0, Combat, and provides a background to define the Army’s doctrine reference publication ADRP5-0 “Operational Process” and Cyberspace and The relationship between electronic warfare operations. In order to understand the basic principles of integration and synchronization of cyberspace and electronic warfare operations, you must first read the Army’s doctrine publication ADP2-0, the Army’s doctrine reference publication ADRP2-0, the Army doctrine publication ADP3-0, and the Army doctrine reference publication ADRP3. -0, Army doctrine publication ADP5-0, Army doctrine reference publication ADRP5-0, Army doctrine publication ADP6-0, Army doctrine reference publication ADRP6-0, Army technical publication ATP2-01.3, field bar FM3-13 And FM6-0. By planning, integrating, and synchronizing cyberspace and electronic warfare operations, cyberspace electromagnetic activities can integrate functions and capabilities across operational functions, defend networks, and provide critical capabilities to commanders at all levels during joint ground operations. Cyberspace and electronic warfare operations affect all combat functions and are also affected by them. The field battles present detailed tactics and procedures for Army cyberspace and electronic warfare operations. The field command replaced the field title FM3-38 dated February 2014. The Fields Order FM3-12 is an Army cyberspace and electronic warfare campaign advocacy publication. The field battles contain the basic principles and guiding principles of cyberspace operations, electronic warfare, and cyberspace electromagnetic activities in a single publication. It provides a comprehensive account of how they support and achieve action, and how to support the missions and functions of the various levels of force. The field battles laid the foundation for subordinate Army technical publications. Cyberspace and e-war operations incorporate established joint and Army processes into operations such as intelligence processes, targeting processes, and military decision-making processes (MDMPs). The field battles explain the basic ideas of the Army’s cyberspace and electronic warfare operations. Content includes staff responsibilities, contributions to military decision-making processes, cyberspace and target work in the electromagnetic spectrum, and reliance on intelligence and operational environment readiness (OPE) in cyberspace. The field battles describe the relationship between cyberspace operations, missions, operations, electronic warfare, electromagnetic spectrum, and each other’s actions. This elaboration also includes cyberspace electromagnetic activity, providing compliance for military forces and the following combat forces planning, integration, and simultaneous electromagnetic activities. The first chapter provides an understanding of cyberspace, cyberspace operations, missions, actions, and effects. It describes cyberspace and situational understanding, situational awareness, threats, risks, vulnerabilities, and their relationship to information and operational environments. The level and characteristics of cyberspace confirm the legal authorization applicable to cyberspace and cyberspace operations, and discuss the basic information and spectrum management functions of electronic warfare related to cyberspace and electronic warfare operations. 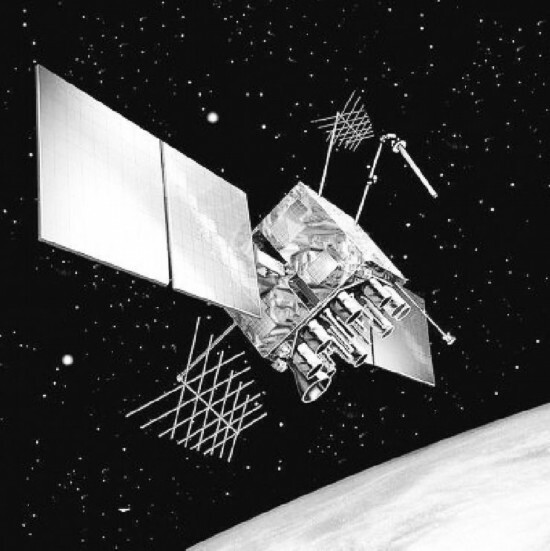 Chapter 2 provides information on the use of cyberspace operations and tasks, rather than day-to-day operations, pointing out that information operations, intelligence, space operations, and targeted work can affect cyberspace, electromagnetic spectrum, cyberspace operations, and electronic warfare operations. Commanders and staff officers have integrated and synchronized all of these aspects of cyberspace and electronic warfare operations. The third chapter expounds the Army’s cyberspace electromagnetic activity and mission-style command, the role of the commander, the cyberspace with combat functions and the electronic warfare action, and discusses how to incorporate the planning elements of cyberspace and electronic warfare operations into the operational process. This includes planning, preparation, implementation, evaluation, and targeting. The discussion of the operational environment is combined with the military decision-making process, followed by an overview of the preparation requirements, implementation tactics, and how to assess cyberspace and electronic warfare operations. Appendix A discusses cyberspace operations and various joint operations partners. Appendix B highlights the location of cyberspace operational information in the Combat Command and Appendix 12 to Annex C. This appendix includes an example of Appendix 12 to Annex C, which describes the types of information contained in this appendix and sections. Appendix C contains the procedures for handling cyberspace operations requests from military, military, and military units, as well as fields and information for the Cyber ​​Operations Application Form (CERF). Blank copies of the cyber operations application form and field explanations are all part of the process. Appendix D includes fields and information for the Electronic Attack Request Form (EARF). A blank copy of the electronic attack application form and a five-line brief with field interpretation are part of the program. From various news media, we can often read reports of hacking attacks on US information systems and computer networks, especially when the United States is arrogant and provocative in the world. . As a country with the most reliance on computers and information technology and the most popular application in the world, the vulnerability of the US information system and the vulnerability caused by its huge number are obvious. However, we must not forget that the United States is not only the only superpower in the world today, but also the number one information technology power. The importance of the United States to information warfare and the depth of research are unmatched by any country in the world. In addition to theoretical research, the United States has conducted several information warfare simulations and practical exercises of varying sizes. The US information war strategy is consistent with the starting point of its global military strategic thinking and is based on aggressiveness and expansion. While arguing and even exaggerating hackers pose a serious threat to its information infrastructure, on the other hand, the United States is quietly taking an active position in its information warfare in the future, and even launching large-scale information to other countries. Attack and make positive preparations. Therefore, people should not take it lightly and relax their vigilance. This article intends to briefly explain some important viewpoints of the United States on the strategic theory of information warfare for reference. information warfare : information warfare refers to the impact of capturing information superiority, the enemy information systems and computer networks, and the existing information systems and Facilities such as computer networks are protected and information is taken. The above includes two aspects of attack and protection of the information infrastructure (NII). In October 1998, the Joint Chiefs of Staff made a perfection and supplement to the definition of information warfare in the newly promulgated “Information Warfare Common Dogma”. The most striking thing is that it is the first time in the form of government documents. The National Information Infrastructure (NII) is included in the scope of the information warfare. There are two main points: First, civilian facilities such as telephone, electric power and air traffic control systems will become the targets of information warfare attacks; second, the act of using any means to interfere with and destroy the enemy’s information decision-making process has been put into practice. . The above definition shows that in order to achieve its strategic goals, the United States will not hesitate to destroy the vital infrastructure of a country as a means to force the other party to submit, in the process, it does not care about any loss that may be caused to civilians. With casualties. This was fully taught in the conflict that erupted in Kosovo from April to June 1999. “The enemy of information warfare refers to the influence of my decision makers. Information threats and terrorist acts that are organized, premeditated and politically motivated or politically motivated. Hackers, individuals or organized criminals, internal apostates, industrial and economic agents who attack attacks on protected information systems and Terrorists are among the following. From this definition, we can find that under certain circumstances, the United States can include foreign individuals or organizations, even a sovereign country, among its opponents of information warfare. Let us take an analogy: an energy company in a third world country negotiates with a US company and intends to purchase the electric equipment produced by the latter. Since the energy company’s information management system was purchased from the Netherlands and managed by Dutch engineering and technical personnel, these managers inadvertently learned about the transaction and reported the home country company, which led to the involvement of Dutch power equipment manufacturing companies. Competing with US companies ultimately led to major changes in the outcome of the deal. So the Dutch contender has in fact become a hostile party to the US information warfare. Please pay close attention to the “best deterrent measures in peace years…” In a word, this is a very threatening phrase because it shows that the United States can initiate an information attack from any country that it considers to be an opponent without declaring war. That is to say, in the form of a formal program document, the United States has unambiguously stated to the world that information warfare will be an effective tool for intervening in other countries’ internal affairs and interfering in other countries’ internal affairs during the years of peace. the first Second British, Ama Island War. The traditional war process is considered to be that Argentina once again sent troops and reclaimed the Malvinas Islands (Falkland Islands). The United Kingdom is convinced that Argentina is difficult to find international carriers because it does not have aircraft carriers and intercontinental ballistic missiles. Holding the island, the end of the war will still be the same as last time, with the British sending a powerful fleet to attack the island, Argentina defeated and summed, Britain won the return to the island. 1. Obstructing each other’s war preparations: Through the means of information attacks, the British military’s communication systems and equipment are ineffective, destroying the British military’s personnel and equipment database, delaying the preparations for war in the UK, and increasing the huge expenditure for this. In the end, it may even force the British government to reconsider its ability and feasibility to take military action. 2. Psychological warfare changes the public opinion of the British public: psychological warfare can be varied, from spreading rumors to creating false news and stories that can dominate the entire paradox. The effect of using psychological warfare alone may not be ideal, but if combined with other means of information warfare, it can produce excellent results. 3. Creating a national information infrastructure crisis: If Argentina can launch an effective attack on the UK’s telecommunications, telephone, rail and air traffic control information infrastructure, it will be paralyzed or awkward. In this case, the British government wants to The determination to send troops to a war thousands of miles away will be difficult. In the half-month voyage of the aircraft carrier battle group to the destination, the voices and plans for seeking a peaceful solution that accompanied the domestic panic are likely to be brewing or negotiating. 4. Destroy the economic and financial means of maintaining war in the UK: weaknesses and shortcomings in the financial system can be exploited to create financial crises and panic. In 1998, there was an incident in the US stock market that caused the stock index to fall 200 points in just a few minutes due to computer program errors. The cause of the incident was that when a computer program reported the proceeds of several investment funds, the data was wrong due to incorrect programming. As a result, the stock price fluctuations of these funds caused a French businessman to be shocked and first hit. The order of immediately throwing the disk, the result triggered a panic that should not have occurred, causing the stock market to plummet, and many companies and shareholders suffered heavy losses. Information warfare experts believe that such defects can be replicated by means of information. It can attract the attention of the government and create a serious illusion of economic problems, thus affecting the government’s decision-making and financial support for war. Singapore is a city with a combination of international trading port, Far East financial center and Southeast Asian sea transportation center. It is economically developed and the people are rich, but it is a small country. The neighboring Malaysia is vast, but it is very poor and backward. Due to the small size of the country, Singapore’s air routes will pass through the southern part of Malaysia. This route is called the “air corridor” and it is a lifeline of Singapore. Although the two countries are both ASEAN countries, the relationship is still good, but there have been differences in how to use the “air corridor.” If one day Malaysia refuses to continue to use Singapore’s route through its airspace, the differences between the two countries may develop into a confrontation. Information warfare can have many different ways of expression in this dispute. The most noticeable thing is that Singapore refused to provide advanced air traffic control services to Malaysia to pressure Malaysia to surrender and was forced to sit down and negotiate to solve the problem. And disputes. Because there is no binding clause in international law for such retaliation, once such incidents occur, it will surely attract strong attention from the international community. a typical example of military confrontation and nuclear competition is the nuclear race and long-term military confrontation between India and Pakistan. Information weapons are likely to play a key role in resolving and eliminating this growing competition. The use of advanced electromagnetic pulse weapons, or the use of hacker infiltration methods to smash the nuclear weapons control information system and destroy the database of research data, can shake the nuclear weapons research programs of these two countries. This approach can also be extended to attack and destroy all important manufacturing, production and test equipment. In the information war, do not underestimate the impact of the National Information Infrastructure (NII) attack, it can give attackers an ideal opportunity to manipulate the economic situation of the other side. The direct result is that it can force hostile countries to greatly reduce their military spending, turn their financial resources to restore the economy, or force hostile countries to move from confrontation to easing. Let us use an imaginary information attack example to illustrate its great destructiveness: A country confronts with B. During this period, State A found that B has an important water conservancy project (such as the river dam) and the national economy and people’s livelihood. It is closely related, so the country took the means of information attack, invaded and took over the monitoring and management system of the dam, and by changing the water storage capacity of the dam reservoir, it achieved the purpose of significantly changing the climate dry humidity in a certain area of ​​B; Further, if State A puts a virus or destructive code in the dam’s control system, the reservoir’s control and regulation system suddenly fails at critical moments (such as the flood season), and as a result, the reservoir is lost due to flooding. 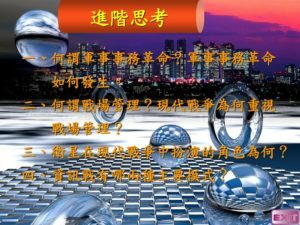 The role of flooding, causing serious natural disasters and economic losses, in the end, the original economic advantages of the country B completely lost, under the pressure of internal and external, the country B had to succumb to the country. 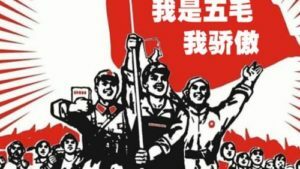 The illusion of the fifth: the use of information weapons to obtain the same effect of using weapons of mass destruction in information warfare research, a problem that US information warfare experts are very interested in is: using information attacks, can create similar pearls of the year The massive damage effect of the Hong Kong incident? The conclusion is that, in theory, this possibility is completely present and necessary in hostile action, because it can greatly weaken the other’s ability to respond, resulting in the same possible military cost. effect. However, to achieve this, it is impossible to achieve without careful planning and sufficient resources to support and support. The US research program in this area is highly classified and unknown to outsiders. The US military strategy theory believes that a country’s infrastructure can be greatly weakened by exerting a long-lasting military strike against it. But the ultimate goal of this is to clear the obstacles for the peace talks and force the other party to accept harsh conditions for peace talks. To this end, not only detailed and thorough target strike plans and multiple simulation rehearsals for attack plans, but also contingency measures in case of retaliatory counterattacks, as well as a complete command and logistics support system, etc., are required. Wait. NATO’s humanitarian signage and the brutal invasion of the Federal Republic of Yugoslavia are an actual rehearsal of this theory. In the spring of 1998, American military experts Stephen Van Evra and Charles L. Glazer published the “Attack, Defence, and War Causes” in the American Journal of International Security, Vol. 22, No. 4. 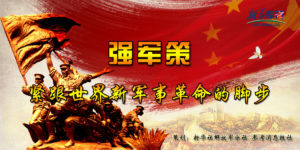 “The concept of “attack and defense balance point and its measurement” and many other articles, that during the Cold War after World War II, it belongs to the era of strategic defense theory. At that time, the confrontational East and West sides were evenly matched and indifferent to each other in terms of the quantity and quality of their own conventional weapons and nuclear weapons. They always tried to avoid direct conflicts and confrontation. The main concern of both sides at the time was the balance and constraints of each other. • The dependence of developed and developing countries on information infrastructure is growing. The heart of speculation can be seen here. The transformation of the characteristics of war is always motivated by the advancement of science and technology. If “information-led” is the characteristic of the era of today’s war, then the essence of this feature is “the dominance of information technology.” Information warfare is a new combat force that is fostered and fueled by information technology innovation. “knowing one’s own confidant, no wars, no war” has always been the only rule of war victory, it actually embodies the important role of “information” in the war. Since ancient times, the military has always been pursuing the dispelling of “the fog of war”, reducing the probabilistic nature of the war, and taking the lead. At the same time, it hopes to quickly gather the fighting energy with accurate and timely information to make the enemy win the enemy. Nowadays, the heroic pace of human innovation in information technology has driven the rapid development of society. The myth of “thousands of eyes and ears” has long been a reality. 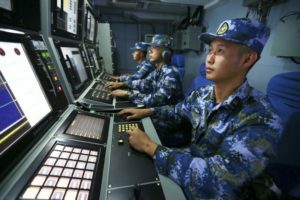 While the results of information technology innovation and development are fully utilized for war, they are also constantly promoting the transformation of the combat capability generation model. The germination of information warfare can be traced back to the beginning of the last century. Shortly after the advent of the radio telegraph, Russian scientist Popov proposed the idea of ​​radio communication struggle in 1903. In the Japanese-Russian War that broke out in 1904, the two sides used radio communication for the first time. One day in April of that year, the Russian military operator subconsciously used the radio station to interfere with the shooting and guiding communication of the Japanese fleet, forcing the Japanese to return without success. The original sprout of this technical idea gave birth to a new way of warfare, and the information war began to enter the stage of war. The highly developed information technology has made “systems based on information systems” a feature of today’s war. It should be said that systemic confrontation is not a form of engagement that exists today. Both sides of the war have sought to form a strong operational system. In different historical periods, the system has different manifestations. Today’s combat system is an unprecedentedly powerful combat system that relies on networked information systems. An important manifestation of information technology playing a leading role in modern warfare is to promote the rapid development of information warfare. At the same time that “information-led” became the identifier of modern warfare, information warfare began to leap into a new kind of combat power. Having a strong information power makes an army savvy and responsive, and the integration of information power into the strike force increases the military’s operational effectiveness into a geometric progression. Information warfare is the first sword to break the efficient integration of information firepower. Information power is the ability to acquire, transmit, process, and use information. The enhancement of information means that information is acquired more and more comprehensively, information transmission is faster and more accurate, information processing is automated, and information usage tends to be intelligent. This makes the military’s command efficient, precise control, quick action, and powerful. From the perspective of operational mechanism, the effectiveness of information power in the combat system is manifested in the synergy of the strike force and the transformation of combat effectiveness. Although the information itself cannot directly kill the enemy, the information is used to realize the intelligent control of the combat weapon. Produced a powerful and powerful strike and non-contact strike. Information deterrence is an important information warfare action, which can reduce the intensity of confrontation, and even force the opponent to give up resistance. It may produce a satisfactory combat effect and achieve the highest pursuit of “no war and defeated soldiers”. The principle is that the opponent It is a huge blow to the coming, and it is limited to the ability to stop the information. The achievement of the deterrent effect is the fusion effect of the multiple elements of strength, ability and determination. As a result of the high degree of integration of information and firepower, information multiplies the effectiveness of firepower, and firepower transforms information energy. The goal of information warfare is the opponent’s information system, which plays the role of “covering ears, obstructing, chaos”, so that the information power of the opponent is weakened and even lost, and the fusion of information firepower cannot be discussed. During the Gulf War, when the multinational forces scraped the “Desert Storm”, they first used a variety of electronic interference methods in the air and on the ground. At the same time, they used firepower to prioritize the communication and radar systems of the Iraqi army, making the Iraqi defense system still not in use. The powerful information power is completely lost, so it is stable. In the Kosovo war, the US military used a mistake in information warfare to provide a good opportunity for the Yugoslav army to make its air defense units cleverly use the less advanced information system to achieve effective integration of information firepower and shoot down the US military stealth fighters. Practice has proved that under the conditions of informationization, information warfare has become the first sword to break the efficient integration of opponents’ information firepower.
. The competition between the spear and the shield will never stop and escalate. When “information-led” shows great advantages, it will inevitably lead to “information counter-measure”. The containment of information will immediately reverse the original advantage. Information warfare is the primary action to transform the enemy and the enemy. The basic types of combat are offense and defense, and the material means used for combat can also be divided into two types of weapons and equipment: spear and shield. Today, when combat weapons have unprecedented lethality, no one will use concentrated forces to concentrate their advantages. Synchronous strikes in different places can be an effective way to “eliminate the enemy and save oneself”, that is, the strike forces scattered in different locations simultaneously target the same target. Attacks are initiated, but only if there is precise time coordination. Keeping time synchronized, it is obviously impossible to rely on the past manual pairing. Advanced techniques such as navigation satellite timing must be used, and once the timing synchronization information is destroyed by the opponent, the action will be completely disrupted. 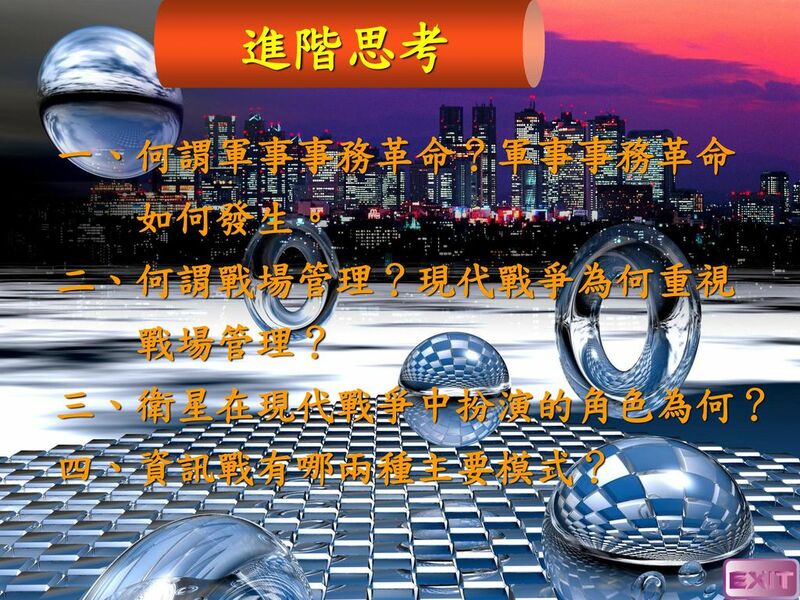 A force with high engine power and strike force, if attacked by the opponent’s information, causes information to be ineffective and information blocked, will not be able to figure out the direction of the action, can not find the target of the attack, become sluggish and weak. . Although the precision strike power is large, once the accurate guidance information is lost, the advantage is immediately lost. Command and control If the information is subject to control, it will lead to chaos, which will inevitably lead to chaos in the overall situation of the war. Attacking the enemy’s information system is the focus and effort to break the battle system. The acquisition and use of information, counter-acquisition, and counter-utilization have become the focus of the battle between the two armies on the informationized battlefield. Information warfare is the preferred style for competing for battlefield control and even for war initiative. While greatly improving the effectiveness of the combat system, the information system naturally becomes the target of the opponent’s attack, and it is the key target. Information warfare is to blinden the enemy battlefield perception system, weaken its information acquisition ability, interfere with its analysis and judgment; to block the enemy information transmission system, disrupt its coordination and destroy its actions; to deter the enemy accusation system by deception, reduce its command efficiency, Lead to mistakes in their decision-making. The more the information technology is developed and the more highly dependent on the information system, the more serious the consequences of its information system attack. Quaker, former chairman of the American “Old Ravens” Association, once wrote: “Advanced technology makes us highly dependent on the electromagnetic spectrum, but at the same time, we are not well invested in building electronic protection capabilities.” “The enemy uses cheap commercial technology. It can reduce or even destroy the performance of our expensive ISR equipment and weapon platforms, thereby limiting or even seriously weakening our technological advantages.” Because military electronic information systems are being widely used worldwide, in fact, the degree of dependence of national military on information systems It is constantly deepening. Therefore, all military powers are competing to develop information warfare. Some small countries are not willing to lag behind and follow suit. In modern warfare, it is of vital importance to seize the comprehensive control of the battlefield. The right to make information has become an indispensable commanding height, and it is the primary means of controlling the battlefield and mastering the initiative of war. war is usually based on crossfire. The information war is invisible, the threshold is low, and the controllability is good. In peacetime, it is possible to start a dark battle and quietly extend the border of war. Information warfare has stood at the forefront of contemporary military games. In today’s world, the use of military means is becoming more complex. War is not only a continuation of politics, but also a close integration of politics and military, subject to the overall strategy of political strategy. The use of force will also interact with politics, economy, diplomacy, and public opinion in a multi-dimensional, organically connected and closely coordinated. Information warfare is active on an invisible front, spanning peacetime and wartime. For example, the confrontation between information warfare reconnaissance and counter-reconnaissance between major powers is now almost every day. Although it is widely believed that the engagement of fire is a watershed between war and peace, the boundaries of war are changing due to the particularity of the use of new military struggle styles such as information warfare. According to reports, the US government recently publicly stated that the law of war applies to cyberattacks. It believes that certain cyber attacks are equivalent to the “use of force” legal concept as defined in the UN Charter. The attacked countries can use conventional military forces or cyber weapons. Counterattack. At the same time, we also see that the arrival of the information age has made the shadow of information warfare often appear in the struggle in the ideological field. The construction and development of information warfare capabilities have received increasing attention from all countries. In December 2011, Iran comprehensively used information warfare methods such as interference suppression, data deception, and link control to successfully deceive and capture a US military RQ-170 “sentinel” unmanned reconnaissance aircraft, which shocked the US military.